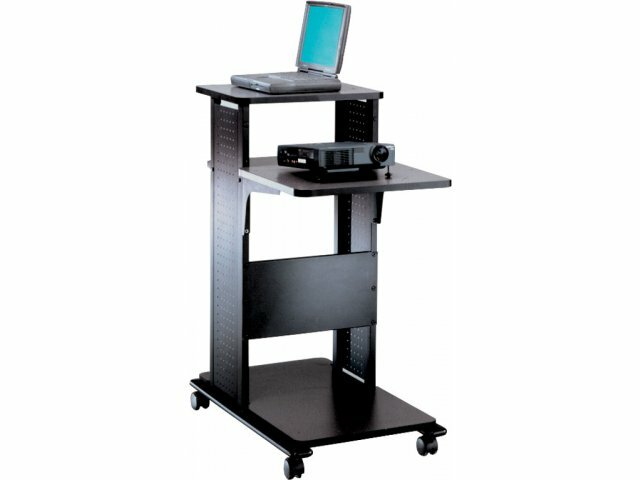 This projector cart is designed to support laptops, overhead projectors and LCD projects. 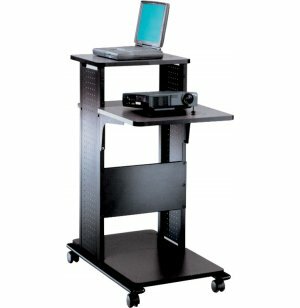 Perfect for any lectern halls, schools, or offices. Black frame with reversible Anthracite⁄Folkstone surface. Perfect solution for classroom or conference presentations. Excellent for supporting presentation devices. Rugged steel frame construction with attractive perforated leg detail. Front projector surface adjusts across 3 positions on 4" increments.